n promoting, supporting and facilitating development of human resources in the Province of KwaZulu-Natal, on annual basis, Ithala Development Finance Corporation recruits unemployed South African graduates residing in the Province for Internship which takes 24 months. INTERESTED APPLICANTS MUST FORWARD A DETAILED CV; CERTIFIED COPIES OF QUALIFICATIONS AND ID DOCUMENT BY E-MAIL TO: [email protected] AND QUOTE THE REFERENCE NUMBER. PLEASE NOTE: LATE APPLICATIONS AND APPLICATIONS WITH NO REFERENCE NUMBER WILL NOT BE CONSIDERED. 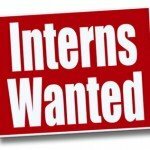 To apply for this job email your details to internship@ithala.co.za.